The ultimate classification folder when safety and security are most important. SafeSHIELDï¿½ bonded fasteners add protection for papers and fingers, while also reducing fastener crinkling. Made of pressboard for extra durability. 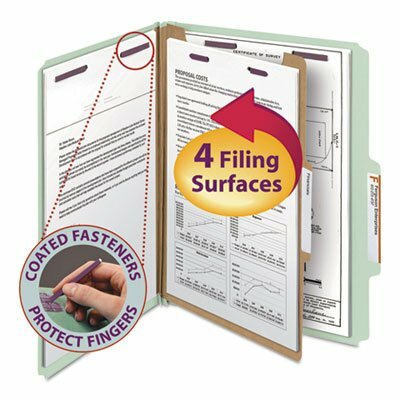 SafeSHIELDï¿½ bonded fasteners add protection for papers and fingers, while also reducing fastener crinkling.